God is Love. Your Soul is Part of God. At Soul level you are Part of God. Your essence is also Love. 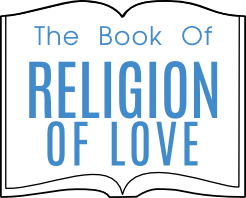 The purpose of this book is to teach you how to live in the Now and, by so doing, you will experience how to TRUST God, how to Be LOVE and attract only LOVE in your life. You will develop faith that God will give you what you need (not want), when you need it, for the higher growth of your Soul. God’s timing for you is always perfect. You will learn to open yourself up to accept God’s gifts in every Omnipresent moment of Now. You will learn to Trust God Now! Lessons 46, 47 and 48 for a better understanding of the basis of Trust God Now. Lesson 46 – The Three Commitments to yourself – No.1 Trust the Process. Lesson 47 – The Three Commitments to yourself – No.2 – Stay in the Now. Lesson 48 – The Three Commitments to yourself – No.3 – Be Love. We are going to assume that you have done the required reading of lessons 46, 47 and 48 of the Book of Evolving Relationships and We are going to teach you how to live in the Now without explaining the background of the Now which was covered in lesson 47. In previous lessons We have explained why you should learn to live in the Now. We shall now show you how to use eleven various techniques to learn to train yourself to access the Now and stay in the Now. The Now is the gap between your thoughts. The Now can only be accessed when your mind in essence becomes no-mind. You cannot think with your mind that I must get into the gap between my thoughts – my no-mind. Your thoughts created by your mind prevent that from happening. You seek the gap between your thoughts, without conscious thought you will learn to simply let it happen automatically and naturally. To begin with you must be conscious of your mind working. In the past you have allowed your mind to have full rein, to do whatever it wanted with your thoughts. If you seek to find the gap between your thoughts, you first have to monitor your thoughts. Be conscious of where your mind is taking your thoughts. Your mind will want to avoid the present moment of Now so it will take your thoughts into the past and into the future of hope, or despair. Your first step is to sit quietly and monitor your thoughts. That one took me back to last week, now this one is reminding me to do the washing up, this one is saying feed the dog, this one reminds me it’s my mother’s birthday on the 23rd, this one says what are you doing sitting still, there is so much to do upstairs, this one, and so on, and so on. Do not hold onto any thoughts whatsoever. Simply let them come into your mind and let them go. Being conscious of your thoughts is already a big step because you must be in the Now to consciously monitor your thoughts. Eventually, and this could take a day, a week, a month or a year or any time in between, your thoughts will tire of not being reacted or responded to. Eventually they will simply give up the futile exercise of trying to get you to respond or react. When they do, your “no-mind” can open up to allow you to access the Now completely and experience the Bliss of your Soul, which is Pure Love, being a Part of God. Whilst you are observing your mind you are developing a new skill – sensing your mind, your thoughts, your responses, your reactions, your emotions, your feelings, who you are allowing to “pull your strings”. Don’t act on anything here, don’t judge anything here, don’t do anything but sense yourself watching your mind from another place than in your mind. You have become your own Energy Source by observing your mind. When you become your mind, when you identify with it, you become the reactor or the responder. Your mind controls your thoughts, and, through past conditioning, your behavior repeats itself as in the past using all your energy wastefully. By becoming the Observer of your mind you stay in the Now and by accessing the limitless Power in the Now you can use all this energy for your benefit now instead of using all your energy to replicate your past behavior. When all your energy is in the Now it isn’t being depleted by anxiously worrying about something, whether in the past or in the future, or being depleted by living in a dream world of hope in the future. You will feel energized in the Now as if you are connected to Someone Else’s Energy Source. You are – in the Now! Please take a breath now. Please take a breath half an hour ago. Please take a breath in one hour’s time. The only breath you can have is Now. Inhale in one present moment of Now, exhale in the next present moment of Now. Breathe in, breathe out, in, out, in, out, stay consciously aware of your breathing and you stay in the Now. Put your hand over your heart or on a pulse in your body. Be consciously aware of each beat of your heart or pulse. Stay focused on each heartbeat or pulse movement. Stay conscious of being in the Now. Train yourself every day to consciously feel and sense this heartbeat or pulse rate. Do not count it because that will involve your mind. Simply stay consciously in the Now and sense and feel each beat as it occurs. By doing this you are training your “no-mind” to be present instead of allowing your mind to hijack your present moment awareness with “urgent and important” thoughts as in the past. The Now is simply not what is happening now in your life. In this moment of Now so many trillions of things are occurring that each moment of Now is very deep indeed. The Intelligence in the universe is causing the earth to move around the sun, the wind to blow, tides to come in or out, grass to grow, animals to eat, fish to swim and birds to head south for the winter, amongst other things. By the way, your body is automatically processing its work for the trillions of cells to operate efficiently so you can breathe and live right now. For you to learn to access and stay in the Now, in every single moment of Now, you can sense your breathing out down the side of a V and breathing in up on the incline of the V.
Every breath out down the decline of the V and in up the incline of the V. This training exercise will focus you to stay in the deep space of the Now. So, to recap – observe your mind at work by being conscious of your thoughts; sense yourself watching your mind by becoming the observer of your mind, from another vantage point; be conscious of each breath, heartbeat or pulse beat; be aware of breathing out down the decline of the V and breathing in up the incline of the V to be conscious of the deep space in every moment of Now. Now, We move onto your physical body senses and sensations to make you consciously aware of staying in the Now. If you have all your faculties then you can see, hear, touch, smell, taste. When you see something, really look, don’t simply look and move on, really look. Look at it intently, see the perfection of it, see the imperfections of scratches, bumps, discoloration or whatever. When you look intently you remain in the Now. When you hear something, really hear it. Listen beyond simply hearing, hear the sounds within the sound. Listen to the bubbles within the water, not only the water as it gurgles. When you listen intently you remain in the Now. When you touch something really feel it. Feel its smoothness, feel its bumps, feel its ridges, feel its texture. When you really feel it intently you remain in the Now. When you smell something, really smell it. Smell not only the main overpowering smell or fragrance, but smell the subtle, less powerful smells or fragrances. When you smell it intently you stay in the Now. When you taste something, really taste it. Let its substance roll around on the taste buds of your tongue and mouth. The overpowering taste also has more subtle tastes which can be found by exploring intently. When you taste intently you stay in the Now. By acknowledging your senses fully you are allowing each thing to have its place and the space around it to be acknowledged, recognized and respected. By doing this you are becoming aware of the rhythm of everything’s heartbeat as if this moment is standing still in time. The awareness of your body’s senses is allowing you to be more deeply in the Now. By fully utilizing your senses you block out your thoughts, and you enable the intuition inside of you to be allowed out in this present moment of Now. Present moment awareness training or consciousness is further experienced by being in the present moment during each of your actions and those actions affecting you. Let Us start with waking up. When you awaken you can feel the bed you are lying on and the bedclothes on you. When you brush your teeth can you hear and feel the water gurgling, the toothbrush against your teeth brushing up, down and around? Can you sense the water as you gargle and spit it down the drain? Can you feel the water on you in the bath or shower, the soap cleansing you, the towel drying you? Once dressed can you feel your clothes on you, your breakfast being eaten and even the raindrops on your windscreen as you drive your car? In this present moment awareness your energy is now focused on what you are doing without thinking via your mind controlled Ego This allows your intuition to access your Soul and gives you maximum performance. This way you unleash your energy through your intuition. It’s like accessing a laser beam of Intelligence from the universe through your intuition. In the past the anxiety caused from living in the past or in the future tensed you up with stress. Your energy in the past was dissipated, defused, deflated, weakly splattered around the room as it contended with your mind’s anxiety thoughts of the past and the future in possible hope or despair. We would like you to draw a picture of an outline of your full length body. Your artistic skills may not be any good but that’s no problem. Simply draw a head, body, arms, hands, legs, feet as an outline of your body. Once this is complete please use another color and inside the outline of your body please trace another outline of your entire head and body, but on the inside of your body’s outline. Now We want you to close your eyes and sense, or feel, this line inside of your actual skin inside your body. This is your inner body you are sensing, the Real You, inside of your body. This is your Soul, if you like, as distinct from your physical body. See this inner body as an energy field inside your body. Now merge this inner energy field with your actual body. The distinction between your outer physical body and your inner spiritual body blurs as you become One in the physical and spiritual. By becoming One with your Spiritual Self, your Soul, you have become the Part of God you always have been and are. In this present moment of Now you have become Love, Bliss, Peace and Harmony. The more you do this exercise the more you will feel the stillness inside of you. In time you will be able to do this during your day-to-day activities. When you now have to act in present moment consciousness you do not go back to your mind and its thoughts based on what you did in the past in similar circumstances. You are not operating from your mind and its thoughts based on fear. You are operating from present moment awareness in the Now. Your intuition will take over using the universal Intelligence that You are part of. This is where you TRUST Spirit to give you what you need (not want) for the growth of your Soul. You will find that this brings a stillness, peace, bliss, Love to you, and life starts to get more effortless, frictionless and you will attract more and more circumstances into your life where things go much more smoothly. Your mind and its thoughts of emotions, fears and aspirations will diminish as you stay centered in the Now, in Love, peace and bliss by being continually conscious of the Real You inside of you. In training yourself to stay in the Now, acceptance of the present moment of now is a very important key. Whatever is happening Now is WHAT IS NOW. There is no point in wishing it is not happening – it is happening – accept it. If you resist what is happening now then your ego, which controls your mind, is saying this is unacceptable, I won’t accept it, I want something else, something better. Obviously this means take this away and in the future bring me something better – or else! This resistance simply keeps the focus and attention on what is unacceptable. What you resist simply persists. After all, your attention is on what is unacceptable so your ego is simply thriving on all this attention. It’s like watering a weed – it simply grows. If you spill a glass of milk on the ground all the screaming and shouting at your stupidity or at the milk for damaging your carpet is not going to dry up one drop of milk. You accept it, mop it up, pour yourself another glass of milk and move on in the Now. Any resistance your ego controlled mind sets up to not accepting what is now can be broken down in a number of ways. One way is to learn to let everything that is upsetting you simply go through you without any resistance. See yourself as you really are, porous. Your atomic structure has more space in it than anything else. You are mainly space. So allow any insult, rejection, “bad news” simply to go through you without any resistance to what is Now. Whatever is happening to you now is happening for the higher growth of your Soul. Once you TRUST (To Release Until Spirit Totally and then To Rely Upon Spirit Totally) and you believe that God’s timing for you is always perfect, then you look to accept “what is” with an Attitude of Gratitude. You look for the growth spurt being offered to you, sometimes quite perversely offered to you, and you roll up your sleeves to get to work on resolving it so your Soul can grow toward the Light/God. Expect a MIRACLE (May I Recognize A Conscious Light Evolving). Accept, without any conditions whatsoever that what is happening Now is as it should be. To surrender is to accept God’s will for you Now. The present moment is as it should be. To surrender is knowing that vulnerability is your greatest strength. God is giving you a gift for the growth of your Soul right Now. By accepting what is Now you are allowing and enabling God/Spirit to give you what you need (not want) exactly when you need it for the highest growth opportunity for your Soul to grow Now. In this state of surrender you see clearly what is required to be done now, and in every successive moment of now, focusing on one thing at a time. You do what is in front of you to do. You Trust the Process to unfold as it should, you stay in the Now and you be Love step by step through the process. When you surrender you do not see yourself as a body having to go through this process, you elevate yourself into Being a Part of God, and you see your Real Self, your Soul, accomplishing these step by step tasks. In this way, by Staying in the Now your spiritual growth is more effortless and Love oils the wheels of the process. Man alone has the capacity to comprehend the threefold nature of time – past, present and future. Man can think about the past and speculate about the future. Man can also live in the Now, experiencing the present moment of Now. There is no point worrying about what is already past. It cannot be changed in any way. The uncertainty about the future makes it futile to worry about as well. Your attention should only be focused on what is happening now, in this present moment of Now. A great opportunity exists now for you to feel God’s presence in this present moment of Now. This present moment is your opportunity to feel God’s presence in your life right now. You can experience the Omnipresent moment of Now. In this Omnipresent moment of Now you become your Soul, the Part of God inside of you. When you become the Part of God inside of you, your Soul taps into the Intelligence of the Universe and through your Intuition you achieve the Maximum Performance of this moment of Now. You become energized from the Source of all Energy. By trusting that God will give you what you need when you need it you trust that God’s timing is always perfect. Therefore anything that happens is a gift from God, whether pleasant or unpleasant for you. Expect a miracle to emerge – eventually. By developing such faith and Love of God you can truly grow spiritually. From now on be conscious of the Omnipresent moment of Now. Trust the Process to unfold as it should, stay in the Omnipresent moment of Now and be Love because you are a Part of God and God is Love. Be Godlike! Then you will truly know Inner Peace in every present moment of Now. Having found out how to achieve a State of Now it is important to know how to Stay in the Now. This lesson has been given before in GuideSpeak.com in “The Book of Inner Peace” – Maintaining a Mind at Peace. We reproduce this lesson here to conclude these eleven various techniques of how to learn to train yourself to access the Now and to Stay in the Now. Assuming you have attained inner peace you can be assured the Light you have evolved to become will create an even bigger shadow for you to deal with. You don’t get the “enemies” you deserve. You get the “enemies” you are expected to handle as your Light grows and they come out of even greater darkness. This increasing darkness is unearthed as your ever-increasing Light pierces the depth of darkness. These “enemies” become your teachers as you learn to grow and evolve when you deal with the issues they mirror back to you on your journey towards further enlightenment. The perspective that is required is – what difference will this make to me in a year’s time? If I react now coming from Ego what influence will it have on me now, in a few weeks, months and a year down the line? If I respond with Love, try to understand, have empathy, compassion and deal with it in Love, how can I best integrate it as part of me? How will this affect me now, in a few weeks, months and in one year’s time? If I simply do nothing, if I simply surrender to it, accept it, bend with the wind and allow it to pass, no matter the damage I may suffer in the meantime, then you learn that it is not what happens to you that is important – it’s how you respond to what happens to you. If you have a “why” you can handle any “what”. If you have a reason, you can put up with any circumstance. What “what” can damage your “why”? Who, or what, are you going to allow into your sacred space to wreak havoc and violate your sanctity? Who, or what, are you going to give permission to damage your hard fought for peace of mind, your inner peace? HAVE YOU LEARNT HOW TO TRUST GOD NOW? If you live such a life of faith then you will understand what it means at all times to say “My cup runneth over”. If you can experience God in the Now, if you can experience that God is Love then you will know that Love is God. Then when you choose to think, act, say and do “What Will Love Do Now?” you are thinking, acting, saying and doing “What Would God Do Now?” then you are Godlike. If you are Godlike then you are Love and you will only attract Love into your life – in every conscious moment of Now. We ask you to Trust Love Now and to Trust God Now for God is Love. What more can you ask for than to Be Love, Be Loved and Beloved by all who recognize that you are Love. Love is who you are, a Part of God, God is Love and You are Love. Learn to always and all ways Trust God Now. God will always give you what you need when you need it. God’s gift for you is in every Omnipresent moment right Now. Expect a miracle – it’s in the making right Now!